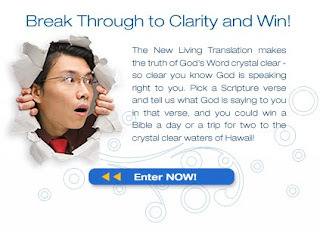 Visit www.facebook.com/NewLivingTranslation and click on the tab that says "Sweepstakes"
Fill out a simple form, take a quick Bible clarity survey, invite your friends to join and you'll be entered to win one of our exciting prizes. 1 How do these verses encourage you to know God better? 2 What is God teaching you in this passage? 3 How does this passage apply to your life? Submit your answer and you'll be entered to win. Just for signing up: Everybody Wins! Win a Free .mp3 download from the NLT's new Red Letters Project. 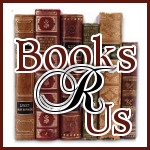 It's the dynamic, new presentation of the sung and narrated words of the Gospel of Matthew. You win the download just for entering! Or choose to download the NLT Philippians Bible Study, complete with the Book of Philippians in the NLT. The grand prize: One person will win a fantastic trip for two to the crystal clear waters of the Turtle Bay Resort on Oahu's North Shore in beautiful Hawaii.